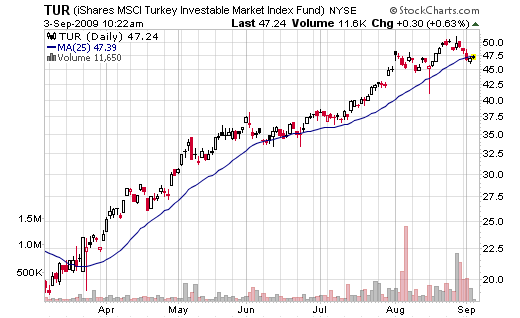 The best performing ETF this month is once again TUR (iShares MSCI Turkey). The Turkish market continue its strong recovery but this may rapidly change should the pessimism return to the market. Make sure you have a clear exit strategy if you decide to invest in this ETF. Click here to find out if TUR is still a buy and get easy to follow buy and sell signals.